Innovation. Evolution. Analytics. The digital preview you deserve in the Information Age. In other words, the biggest college football preview ever created. 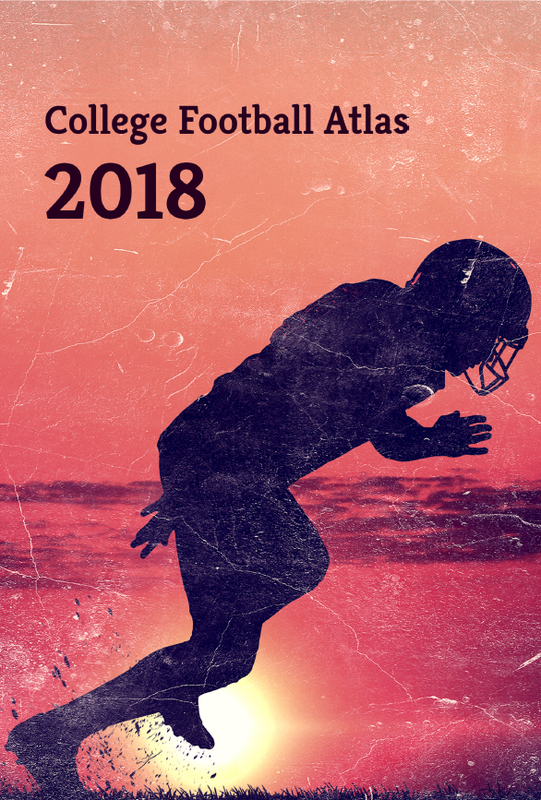 Notes: College Football Atlas 2018 is in pdf format. Since the Atlas is big, the download may take a minute to download. It’ll be waiting for you in your email if you close the download window. Playoff chances. Top 25 ranking probabilities. Divisional odds and standings. Record likelihoods. Complete over-under matrices for every win total and every set of odds. Individual player point values–how they actually affect the final score–for every position. Player strengths, weaknesses, and histories. Recruiting ratings. Coach effects. Game-by-game score predictions and win probabilities. Historical trends by position. Transfer players. Conditional record probabilities. Conference Championship Game matchup likelihoods. Top player lists by division. National rankings, power ratings, scoring offense, scoring defense, and strength of schedule ranks. With your purchase, download your personal copy of College Football Atlas on up to three devices*. No weird, unintuitive acronyms for the numbers here, like you might see on other analytics sites. Want to know how a quarterback’s accuracy helped or hurt his team? You’ll find that under “Accuracy”. How good was a running back in the open field? That’s listed under (you guessed it) “Open Field”. Defense and Special Teams aren’t forgotten, either. How often did passes targeting a certain defender fall incomplete? That percentage is called “Incomplete (%)”. You get the idea. There are numbers for all kinds of plays and scenarios, and they don’t require dictionaries to figure out.